Though the rapid advancement of mobile computation has bestowed software developers with outstanding scopes, dealing with the computation is quite challenging a task. To make the task easier, some mobile applications and development tools are discussed here to help you create useful smartphone application. Even if you are not a technical person, you can easily develop mobile apps familiarizing you with these tools. Having the right set of software before starting the handheld development can save you a lot of hustle. Sometimes you do not really need to re-invent the wheel. In current software era, a lot of freely available software can make you more productive in your day to day work. Many mobile applications are being developed using plain HTML and CSS since mobile browsers have become smarter. Try these MVC frameworks with rest based services on the server side to create highly portable cross-platform applications. jQuery mobile framework is very powerful since it allows you to create and design a single highly interactive website or application that can work on all popular smartphone, tablet, and desktop platforms. download package consists of only the components library and templates. mobilize.js is a useful HTML5 framework to properly display a regular website on a mobile device. 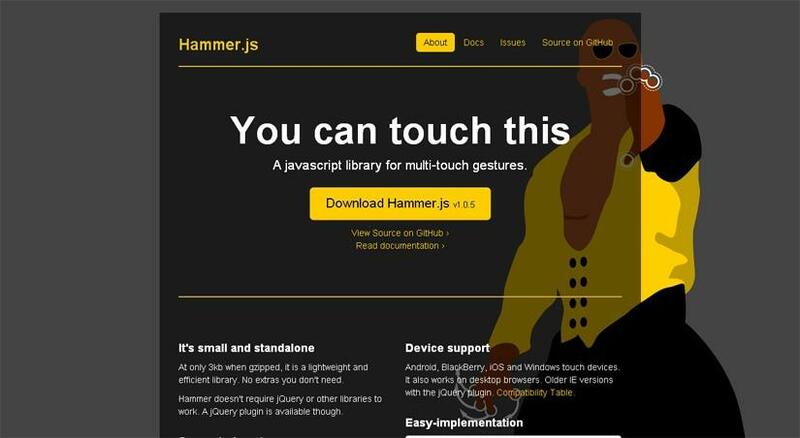 With the help of jQuery Mobile, this script can detect the client browser and format any web page for touch optimized display. Sencha Touch is MVC framework with many useful built-in features for quickly developing cross-platform HTML5 mobile applications. Backbone.js is a JS MVC framework that provides models with key-value binding and powerful event handling features. This project is hosted on GitHub and available as open source for use. The Titanium platform is an extensible development environment that allows you to develop native, hybrid and HTML5 web applications from a single codebase. The supported native mobile platforms are iOS, Android, Windows, and BlackBerry. Kony provides a development platform that can be used to generate a native application for all major mobile operating systems. This platform provides a lot of enterprise integration features for quick mobile presence on various enterprise products like Siebel, SAP, PeopleSoft. This also provides an easy way to integrate with existing web services. This is a mobile productivity platform that does a lot of groundwork for enterprise users of mobile application development. This platform provides are a lot inbuilt components and features to speed up the mobile app development. This is another mobile application development platform, that allows you to develop a single code base for multiple mobile platforms. ViniSketch Designer(VSD) is a free tool that works only with Mac OS X to create mobile applications applying native and web technologies. It has powerful visual and code editor. Automatic PhoneGap generation, advanced multitarget engine, and HTML5 simulators are some features of VSD. Debugger of VSD is based on Weblkit webInspector. Compatibility of the framework is now with iOS 3+ and android 2.1+. Compatibility with another framework such as Symbian, windows phone, and RiM are under testing. Mobjectify is a free web application that provides a web-based mockup builder to build mobile web applications. Using this application, you can create pages and add some events such as headers, footers, forms, buttons, content areas without any programming knowledge. It empowers your mobile web apps with jquery mobile and its theme engine. You have to perform custom coding only if you need. You can create a theme for your app or choose one that suits your app from the themes it provides. Preview and exporting result as HTML is also available here. Countly is an open source real time mobile analytics tools. It collects data of user interaction in your mobile phone and provides visualization. Some exciting features of this tools are – real time tracking, custom event tracking, user tracking, session tracking, session frequency tracking, carrier tracking, advanced user management. It provides support for all smart phone platforms – iOS, android, blackberry, and windows phone, along with cross-platform mobile application platform (i.e Unity3D, Appcelerator titanium). AppInstitute offer a drag-and-drop app builder solution which allows you to create mobile apps for both iOS and Android. It’s geared towards small businesses, and therefore offers a range of different templates with the features necessary for each business type. Some of the features offered by AppInstitute’s apps include geo-targeted push notifications, loyalty programs, and food ordering. Mobicarts allows you to make your own m-commerce store. Sometimes your e-commerce store isn’t sufficiently portable way of marketing for your users. Mobicart is a way to access your store from the customers’ mobile, which allows them more easy shopping. You can build your m-commerce store or link it with your existing e-commerce store. Mobicart supports both native and web apps. You can use iOS and android for native apps and HTML5 for web apps. Another exciting feature is powerful language packs. You can build and manage your m-commerce store using any language and currency. Lime JS is an opensource HTML5 based game development framework. This is a really good start for developing HTML5 based games. Tree saver is a nice framework for developing magazine-style HTML5 and CSS applications. This is jQuery and Zepto plugin for developing the beautiful mobile user interface. Mobiscroll is a group of Touch UI Components. These components enhance the usability and performance of your device. Mobiscroll core is the base of these components. The components of mobiscroll are – date and time scroller, calendar, colorpicker, timespan scroller, timer, select scroller, rating and grading scroller, image and text scroller, treelist scroller, distance scroller, speed scroller, mass scroller, temperature scroller, force scroller. Mobiscroll provides multi-framework support( jQuery, jQuery Mobile, Zepto.JS or Intel App Framework). It is also cross platform and cross browser compatible. Platforms supported by mobiscroll are supports iOS, blackBerry, windows phone, android and on any desktop OS. jqmPhp is an open source project that simplifies the usage of jQuery Mobile with PHP. It contains some PHP classes that generates HTML outputs which can be used by jQuery Mobile framework. Using jqmphp is very easy as there is a nice documentation associated with a related example. Each jqmphp class is on a separate file which is similar to the class name. For example, jqmBody.php file contains jqmBody class that represents the ‘body’ tag. Mobile apps are essential for companies that focus on providing fast and seamless user experience. Consumers today demand unique mobile applications that are easy-to-use and include various features. Customer behavior has changed, which made it extremely important for every business to create a ‘mobile’ presence. Every company regardless of its size requires expanding customer reach. In this section, we have mentioned some tools that can be used for mobile application development for your business. GENWI is a proficient smartphone app builder and management system. It enables businesses to build applications for iPhone and android using RSS, ATOM or social feeds. It is best known for delivering rich graphics, photos, videos, and audios necessary to attract consumers. If you have a business associated with music, then MobBase is one of the best options available for you. This application builder allows you to use RSS feed to keep fans updated about the upcoming events and upload tracks for fans to listen while browsing the app. This tool helps to easily build apps for iPhone or android. A user does not have to be expert in technicality to develop an application with MyAppBuilder. Save money and time in creating a sorted application with this tool. If you have an e-commerce website, then MobiCart can build an application that helps in sending and receiving payments online. It links up with PayPal and allows secure payments from a consumer with an e-mail address. It is a web-based no-code application creator for android as well as iOS based devices. It uses Photoshop-like user interface for assembling screens and provides instant application making benefit. Another web-based, no-code, drag and drop builder, AppArchitect helps in creating applications for iPhone and iPad. It assembles plug-in building blocks—written in objective-C, along with an AppArchitect SDK that extends the product’s capabilities. 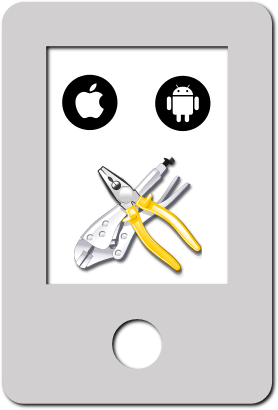 This type of application builder offers customizable templates for iPads, iPhones as well as android-based devices. You can make an application free of cost if you accept iBuildApp branding. An online application builder that is powered with a drag-and-drop forms builder and flexible back-end technology, Form.com allows the user to easily create new forms or replicate existing paper forms, set-up process specific workflow, and API integration. QuickBase is one of the popular online platforms for creating the web and mobile web database applications. The platform offers 300 customizable application templates including a complete project manager. The above-mentioned tools are generally helpful in creating mobile applications that are in synchronization with the current demands of the consumers. Furthermore, if your business needs an application that is easy to use, then using an appropriate tool to develop an app is advisable. Platforms such as android, iPhone, Windows, and Blackberry have different application requirements, and that is the reason most companies focus on creating customized apps. Although developing applications on your own has now become relatively convenient with these easy-to-use tools, professional help is still required if you want your business to perform efficiently. Such professionals have complete knowledge and expertise necessary to build mobile applications. Thus, by spending a little more you can manage to get custom-made and truly proficient mobile apps, created keeping your customers in mind. It is important to select an appropriate provider that can influence and affect the development of the business positively. A service provider that understands the target market reach of a business and delivers result according to that should be your first preference. Tailor-made apps are not only beneficial for a company’s future, but also provide outcomes that are in coordination with current demands of potential consumers. An experienced provider with a vast knowledge base and extensive resources can help you get a simple but effective mobile app, developed within your budget and as per your preferences. 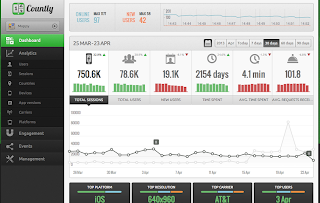 The tools discussed here are one of the best and easiest tools for mobile app development. For many of them, you do not require any past experience of performing the task. If you have perseverance and dedication, you can surely develop applications and you can run your business successfully as well. Updated on April 2017 : Added more tools and fixed broken links. This article is contributed by Mark Wilston and Deep Thapliyal. Deep Thapliyal is an expert web developer who works for ResultFirst, a Web Development Company with over 1000+ clients. Thanks for the article and list of tools and software. We've got got numerous resources for apps developing and they may be performing wonderful job. Nice post! 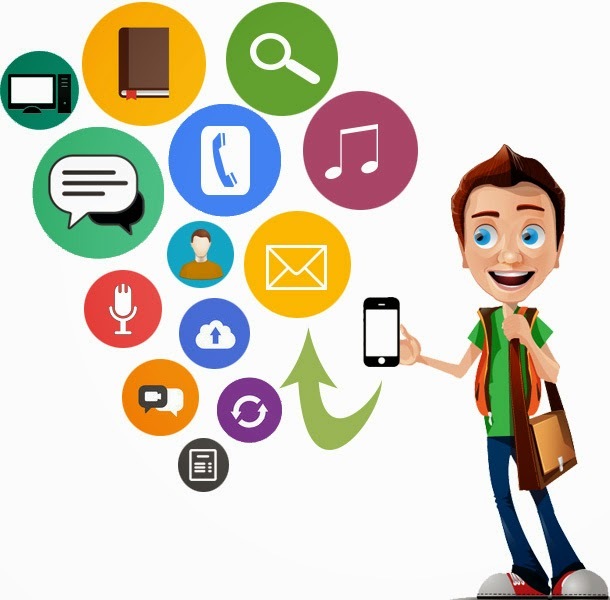 Various tools and software are available which provide better facility for making mobile development to the community.But its depend on developer how they are utilizing and giving best. Interesting information i found here. I reached your blog through finding mobile application development Google. I found it’s very useful. I already ready few posts in this website. Thanks a lot for sharing This Post.